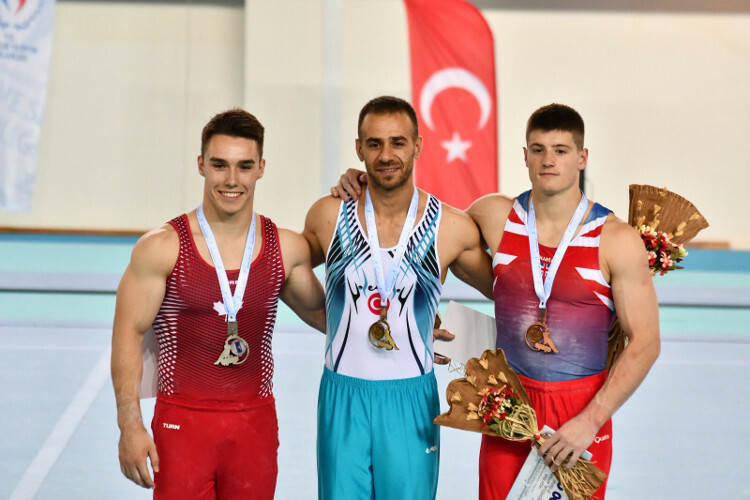 Frank Baines was in superb form claiming three medals at the FIG World Challenge Cup in Mersin-Turkey. A score of 14.400 on the floor gave him the silver medal and he followed up with 13.650 on pommel to again take second place. He wasn’t finished there and on high bar again showed his class to take the bronze medal this time with a score of 13.300 points. 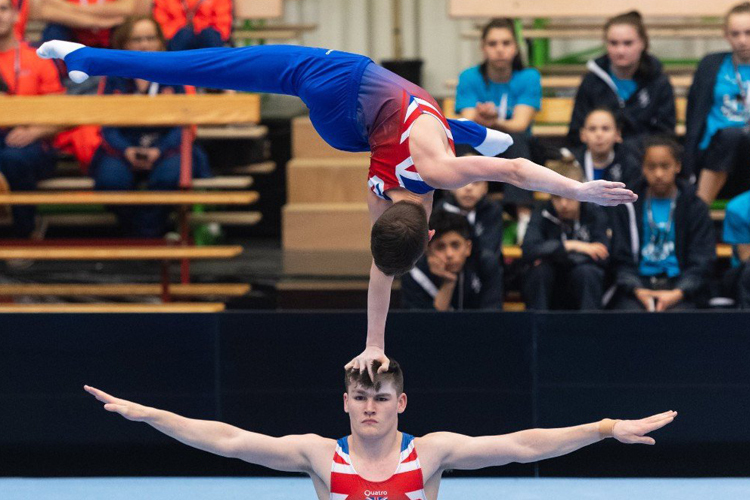 Also competing for GBR was Giarnni Regini-Moran making a welcome return to action after two years of injury issues, Giarnni made the vault final and scored 13.525 to finish in 5th place. Frank said:"I went out there with the aim of winning a medal so to come back with three is fantastic. I also want to say a huge congratulations to Giarnni for making the vault final after such a long time out."